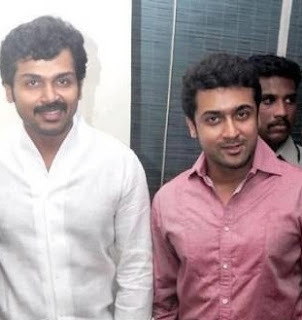 SURYA AND KARTHI TO UNITE TOGETHER FOR A NEW FILM! Yes, you heard it right! The brothers of Kollywood film industry will be joining together soon! 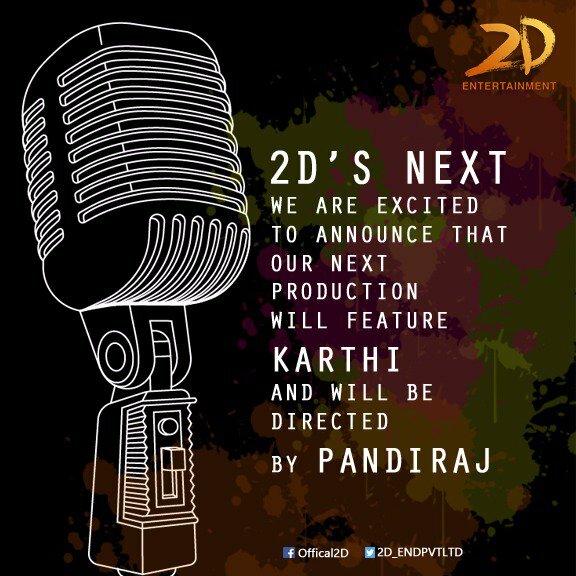 It has been confirmed that Surya's production house "2D Entertainments" will produce the upcoming flick of Director Pandiraj, who directed Pasanga 2, and Karthi will be in lead role. As in the film "Pasanga 2", it has been reported that Surya will play a guest role in this film too! That means Karthi & Surya will be sharing the screen space for the first time. That was something special for both of their fans and everyone eager to watch the film. 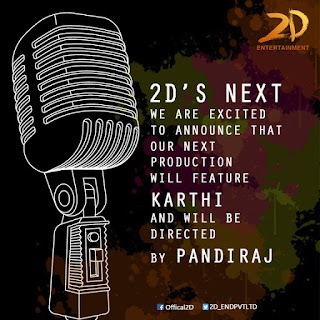 The film will be on floors soon after Pandiraj completes his current project. The 2d Entertainement has confirmed this news via twitter and here is the proof! Don't hide your thoughts! Comment what to you feel on this brothers sharing the screen space together. Did you ever wished? What's your expectation? Comment Below!